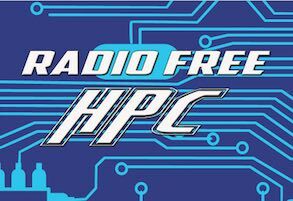 In this podcast, the Radio Free HPC team looks at all new fast devices that came to market this week for HPC. IBM Power9 Servers are here! Launched this week, the AC922 POWER9 servers will form the basis of the world’s fastest “Coral” supercomputers coming to ORNL and LLNL. Built specifically for compute-intensive AI workloads, the new POWER9 systems are capable of improving the training times of deep learning frameworks by nearly 4x allowing enterprises to build more accurate AI applications, faster. NVIDIA Titan V brings Volta to the Desktop. Not to be outdone, NVIDIA introduced their new high end TITAN V GPU for desktop PCs. Powered by the Volta architecture, TITAN V excels at computational processing for scientific simulation. Its 21.1 billion transistors deliver 110 teraflops of raw horsepower, 9x that of its predecessor, and extreme energy efficiency. Snapdragon 845 chip based on the ARM architecture brings AI inference to your smartphone. 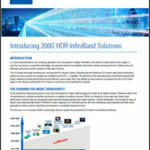 With A75 CPU cores clocking as high as 2.8 GHz, the new architecture also enables it to maintain the same level of performance with a 30% power reduction. Dan points us to a story about an asteroid that came within 73,000 miles of the earth that NASA didn’t detect until after it passed. Shahin notes that Tesla is building their own AI chip. Dan wants to know if anyone else is alarmed by the Google Deep Mind AI that created a champion chess-playing AI. Henry read that in 20 years, AI will be doing all the coding for us. Shahin also notes that new “Lightning Network” blockchain layer 2 software is going through QA right now to bring high-volume, high-speed to the cryptocurrency market. Dan lost some Bitcoin this week when NiceHash got hacked.